It's the beginning of the year and everyone is making New Year's resolutions! Have you made yours? I haven't. I'm so bad at them. I have a feeling I'm not alone since there are statistics out there talking about the high percentage of people who break their resolutions not long after they're made, typically within a week! 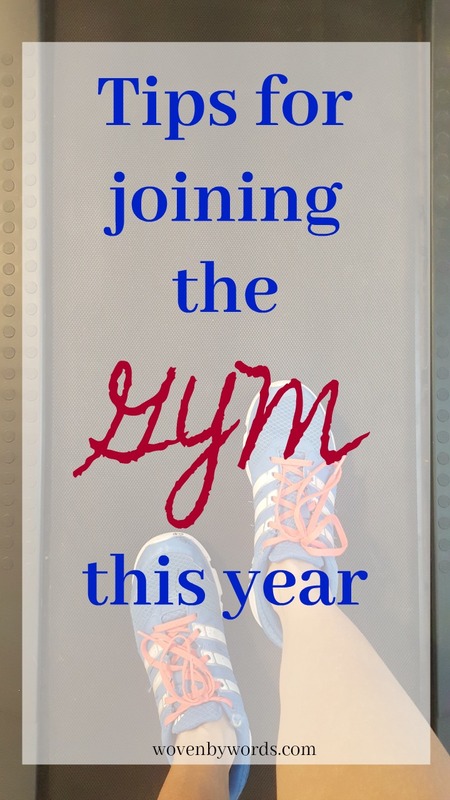 Whether you make resolutions or not, if you're planning to join a gym, now's the time to do it! Typically gym memberships are at a discount or the sign up fee might be waved. I just saw Costco had a HUGE discount for joining a large chain gym (the one I go to). The two year membership was $140 less than what I spend in ONE year! I'm going to have to get that figured out asap! Spend January getting to know your nearest gyms. There are so many options: YMCA, independent gyms, and large chains. Last February, after finally being sick to death of how I was feeling, I finally started calling around. I was hoping to work with a gym as a blogger, but none of them were interested. One replied, but also didn't work with bloggers, but since they replied, I decided to try them out. They had a 3 day free trial. I honestly don't remember if I used it. I think I went in to talk to the manager and liked everything they had to offer, but the free trials are the way to go! Maybe even ask if they'd be willing to extend it for a week so you can get the best feel for what they have to offer. You need to get an idea of what you like. I knew I wanted to try Zumba. That's the only thing I knew. I wasn't interested in weight training. I was hoping for a pool to do some water aerobics. I also hoped there were other classes available for me to try out. I got a tour of the facilities and really liked what they had to offer. Each gym has its strengths and weaknesses. Another idea is to start with a buddy. You're probably not the only person at work, at church, or in your circle of friends & acquaintances who wants to feel better in the new year. Keep in mind, others might want to go to the gym just to not feel so gross like I did. They might not be concerned about losing weight so don't rule people out. If you're not finding anyone by word of mouth, put an invitation out on Facebook in case someone wants to go with you. I think going to the gym with someone is probably a lot better than going alone, but not matter what, just go! While you're using this month to familiarize yourself with a gym and start to make changes, join me for a daily challenge for the whole month! Join me and play along! 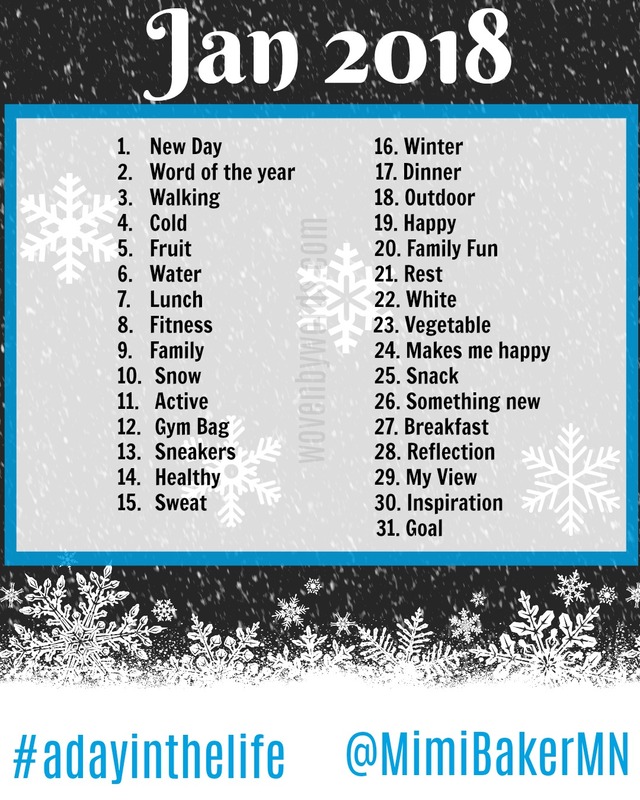 Hopefully it'll give you something to focus on daily to help improve the start to your 2018. I wanted to drop by and tell you I just joined the Y! I am excited to start on this journey, thank you for the reminder and push! WHAT? You're leaving a comment? Have I told you I think you ROCK? Don't Miss A Thing! Sign Up Today! Look At What You Missed! Woven by Words by Mimi B is licensed under a Creative Commons Attribution-No Derivative Works 3.0 United States License.